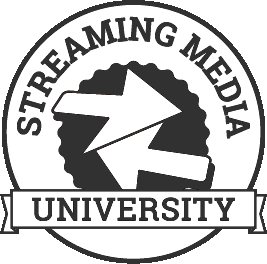 Open to all Streaming Media East 2019 conference attendees and Discovery Pass holders, Discovery Track sessions are moderated by Streaming Media magazine editors and presented by conference sponsors. Sessions are educational and the presentations which typically focus on products and customer case-studies provide a good opportunity to learn more about specific technologies or vendors. As an added bonus, many of our Discovery Track sponsors will be raffling off prizes at the end of their session. Learn more about our new Discovery Pass conference option here. 12:10 p.m. - 12:30 p.m.
Latency is a major challenge for the online video industry. To tackle it, many video providers have taken steps to optimise their live streaming workflows and provide near real-time streaming experiences for end users, resulting in more engaged audiences. This session will present the latest advances in Common Media Application Format (CMAF), particularly around Low Latency, or LL-CMAF explain how it can be used as part of a standardised transport container using MPEG-DASH and HLS, and present some of the main reasons for its adoption. Attend this session for your chance to win: The first 50 attendees will receive a Bitmovin notebook. Low-Latency CMAF: The Next Big Thing in Live Streaming? 2:45 a.m. - 3:05 a.m. Session details to be announced. Check back soon! 3:10 a.m. - 3:30 a.m.
Ultra-low latency for Live is the most important challenge that ABR streaming faces, as it spoils the experience. Poor experience happens through notifications during sport events, or when you have friends watching at a different location. Today we are moving toward 5-8 seconds latency. Here is how we go sub second at scale.Attend this session for your chance to win: THEO Technologies notebooks for all audience members. 4:00 a.m. - 4:20 a.m. According to Wainhouse Research, a survey of 1,801 executives showed a majority inside the government (67%) had anticipated spending on streaming technology. As use expands, though, are you fully leveraging the technology to deliver accessible, discoverable content while navigating security concerns? IBM Watson Media discusses addressing this through AI-driven video. Comparing Revenue Strategies for OTT - Which One Works For You? Learn about different revenue strategies for OTT publishers. See which monetization opportunities have been trending and compare use cases. Explore and evaluate which revenue model works best for your business. Attend this session for your chance to win: $10,000 ConnectedTV Ad Campaign: Run your TV Commercials across hundreds of Roku, FireTV and AppleTV Channels to capture new viewers, customers and donors. Consumer expectations for their video services have never been higher. Content owners and aggregators, whether operating a traditional video or streaming platform, must have the capability to deliver a personalized and relevant experience. This presentation will show how Synamedia helps our customers process, secure, and deliver premium experiences to any screen, any time, with a flexible UX for a compelling entertainment experience. The challenges of monetizing and delivering video across platforms is not germane to content providers alone: aggregators, global operators, and advertisers face similar questions. The session will address these challenges from all sides: as a content provider, operator and advertiser. Topics include how to leverage automation & self-service to increase efficiency; the simplification of workflows; using system data to provide better insights; deploying modular approaches and how to build advertising-based and other business models around on-demand, live video and streaming channels. DT203. Discovery Track Session: Harmonic, SeaChange International, Inc. Launching and operating linear and on demand channels is significantly easier with the arrival cloud solutions for video delivery. For content distribution, broadcast, OTT, VOD or a combination, cloud technologies let you jump on new market opportunities and allow you to monetize your content with dynamic and targeted ad insertion. Attend this session for your change to win: DJI Osmo 2 Mobile Handheld Smartphone Gimbal Stabilizer Videographer Bundle with Case, Flex Tripod, Base and Lens Maintenance Kit ($150 value). 2:10 a.m. - 2:30 a.m. Although the Linear Ad Insertion Sales model is well understood in industry today, the approach for OTT is different and requires Ad Sales teams to ramp up on different techniques and tools. Using a segmented targeting approach to Linear OTT DAI while keeping the same Ad Sales model for your teams is possible and doesn’t require new tools. Join Scott Apgar as he discusses a case of SeaChange’s approach to Ad Sales for the Linear OTT DAI offerings, using existing tools and Ad Sales techniques while allowing a flexible, segmented targeting approach. Attend this session for your chance to win: Potensic T25 GPS Drone: FPV RC drone with camera, 1080P HD, WiFi, live video, dual GPS, return home, quadcopter with adjustable wide-angle camera, follow me, altitude hold, long control range ($166 value).